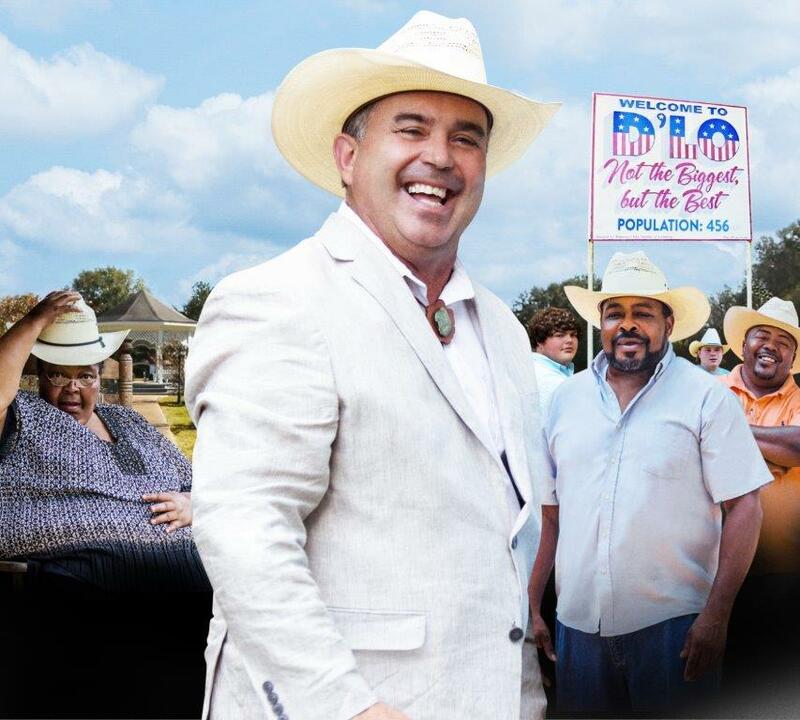 Portfolio Entertainment Welcomes Reality Series Small Town, Big Mayor to its Distribution Roster. (March 13, 2017 – Toronto, Canada) – Heading to MIPTV, Portfolio Entertainment is proud to announce that it has secured the worldwide distribution rights to the brand-new reality series Small Town, Big Mayor (10 x 30’). The series was commissioned by U.S. cable network UP TV, and will premiere on the network this summer. Small Town, Big Mayor (10 X 30’) is set in D’Lo, Mississippi, a small town that time has passed by and whose population has dwindled to 456 souls. Enter newly elected Mayor John Henry Berry. The white suit wearing, golf cart driving, passionate politician has big plans for D’Lo, as well as the personality and gumption to pull them off. Together with a motley crew of locals, he sets out to turn D’Lo into a tourist destination and a symbol of civic pride. Each episode sees the Mayor and the denizens of D’Lo accomplish an amazing feat from the Mayor’s plan to revitalize their home. Uplifting and inspirational, Small Town, Big Mayor is truly a series for modern reality television. “Small Town, Big Mayor is a perfect antidote for troubling times. Community, diversity and triumph of the human spirit, loom large here and Mayor John Henry Berry has all the makings of a reality superstar.” said Joy Rosen, CEO and Co-Founder, Portfolio Entertainment. Small Town, Big Mayor is produced by American Chainsaws Entertainment, and Captain Al’s Big Big Pictures. Portfolio Entertainment is a leading producer and distributor of premium television and multi- platform content. Now celebrating 25 years in business, founders Joy Rosen and Lisa Olfman have earned a global reputation for creative excellence and collaboration. Portfolio’s distribution division sets ambitious standards for itself, representing a diverse catalogue of high quality children’s live action, animation, factual and lifestyle content. The programs, produced in house and acquired from independent producers worldwide, have landed on many of the world’s most recognized television networks and digital platforms. Portfolio’s strategic partnerships, range from joint ventures, development and co-production agreements, to first-look distribution deals. Above all, the company is committed to exceptional service and building enduring relationships with program buyers worldwide. In 2015, Portfolio launched Portfolio Animation, a creative- driven, state of the art animation studio staffed with top-tier talent as well as a factual/lifestyle production division.